State lawmakers have shelved a plan to adopt new regulations on the state’s burgeoning ride-sharing industry in favor of industry-backed measures that make it easier for customers to safely share a ride. Last Thursday, the Assembly Appropriations Committee held in committee legislation that was strongly opposed by ride-sharing companies, drivers and customers. 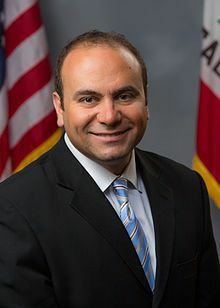 Assembly Bill 24, which was introduced by Asssemblyman Adrin Nazarian, D-Sherman Oaks, would have required ride-share drivers to undergo random drug and alcohol testing and comply with new background check requirements. 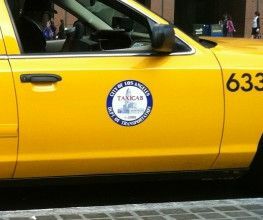 Critics said that the bill was an effort to regulate transportation network companies (TNC) out of business and force Californians back into taxi cabs. As part of the normal legislative process, bills that are expected to cost the state money are sent to the Appropriations Committee. Any bill with an annual cost of more than $150,000 is automatically sent to the committee’s Suspense File. After the state budget is presented, lawmakers take up the Suspense File and consider which bills to advance based on available funds. Nazarian’s legislation, according to an analysis by the Assembly Appropriations Committee, was expected to cost taxpayers nearly three-quarters of a million dollars, as a result of new review processes by the Department of Motor Vehicles and state Public Utilities Commission. The new requirement was estimated to cost $680,000 for an IT consultant and new positions to review thousands of initial applications. That cost was enough to prevent the bill from making the Appropriations Committee’s cut. In addition to costs to the state, ride-sharing companies argued that Nazarian’s proposal for mandatory drug testing was a costly burden on their drivers, a majority of whom are part-time workers. According to Lyft, 78 percent of its drivers work fewer than 15 hours per week. Meanwhile, the average Uber driver logs between 15 and 20 hours per month. Instead of Nazarian’s bill, state lawmakers embraced a plan supported by industry that would enhance safety without undercutting ride-sharing services. Assembly Bill 1422, authored by Assemblyman Jim Cooper, D-Elk Grove, would require companies, such as Uber, Lyft and Sidecar, to use the DMV’s Employer Pull Notice Program. That system notifies companies when a driver gets into an accident or is convicted of driving under the influence, among other notifications. The bill is supported by Uber because it would automate the driver review process for ride-sharing companies. 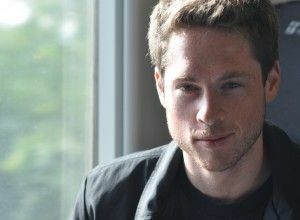 According to Cooper’s office, ride-sharing companies “must manually access DMV records on a quarterly basis to review driving records – a process that is both inefficient and slow to catch such things as DUIs, accidents or license suspensions.” With Uber’s backing, the bill has received unanimous support throughout the legislative process. In addition to embracing the DMV’s Pull Notice Program, ride-sharing companies are working with state lawmakers to pave the way for ride-share carpooling. Last month, the California State Assembly passed legislation authored by Assemblyman Phil Ting, D-San Francisco, that will allow companies to split fares between passengers. Last fall, after ride-sharing companies announced new carpooling services, state regulators sent the companies threatening letters and warned that such programs violate state law, according to CNET. Last year, the legislature approved Assembly Bill 2293, which forced ride-sharing companies to abide by new statewide regulations. That law requires companies to carry at least $1 million in commercial-grade insurance and set new minimum levels of additional insurance to be carried by drivers. 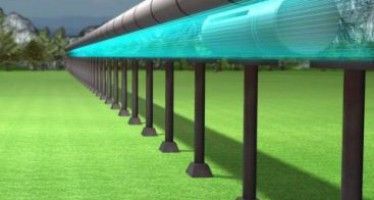 The bill also ordered the state’s Public Utilities Commission and Department of Insurance to produce a study on transportation network companies before December 31, 2017 – to see how well the new law is working. JAN. 11, 2012 By WAYNE LUSVARDI Call it pension “entrap and raid” — instead of environmental “cap and trade.” Gov.